In the U.S., when you have an American baby, all the necessary paperwork is generally filled out before leaving the hospital, and then a passport is a separate process, usually done later, since most new babies don’t have immediate international travel needs. For an American baby born on the U.K., it’s different. Almost no official paperwork is done via the hospital. 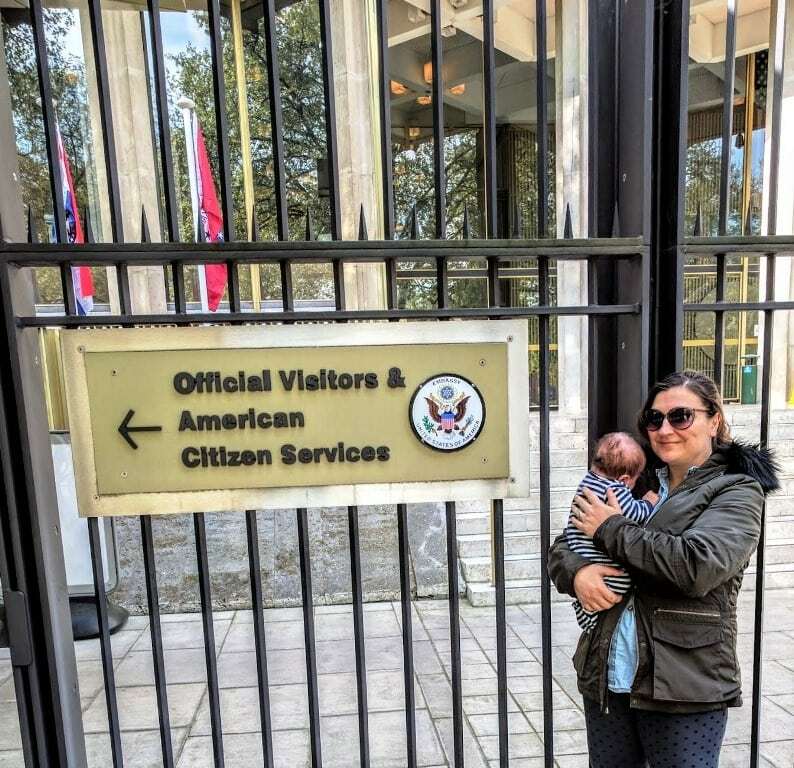 To get Theo’s birth certificate – which isn’t even a certificate, it’s a folder of very plain papers (America totally wins in the cool birth certificate category) – we had to make an appointment with our local civic center. 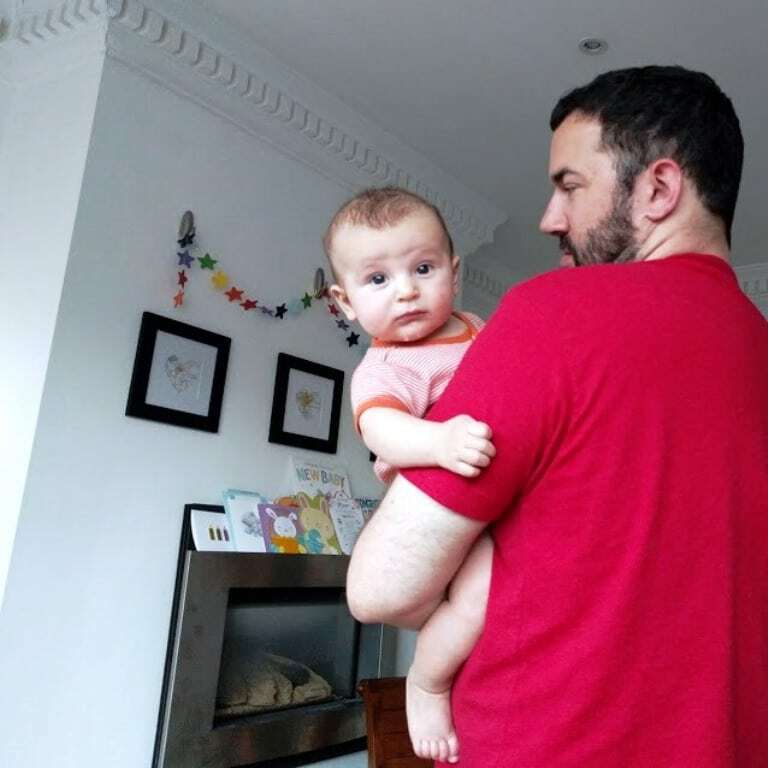 It’s worth booking right away, even through the newborn fog, as it takes about 4 weeks to get the appointment and if parents don’t have it handled within six weeks, there’s a modest charge — I think it was 40 quid. Not the end of the world but certainly not money we wanted to spend if we didn’t have to. Once those papers are in hand, the U.S. passport application process can begin. First, we got Theo’s photos at Snappy Snaps because they’ll photograph babies lying down. We set an appointment at the embassy and filled out the paperwork online. It wasn’t all crystal clear — the part that hung us up most was a request of cities and dates of all places we’ve lived in the U.S., which jeez, I couldn’t remember if you held a gun to my head. We covered about the past ten years and Matt printed out tax forms to support our claims but all of this was unnecessary. Turns out, they just wanted birthplaces and last residence. We traveled to the American embassy downtown for our 9 a.m. appointment – bus, train, bus. Stood on the train the whole way (rush hour) and Dex was kind of amazing, delivering his running commentary for the car packed with silent commuters and engaging with another woman standing nearby. He also practiced his jumping a lot and hey, it’s better than screaming. 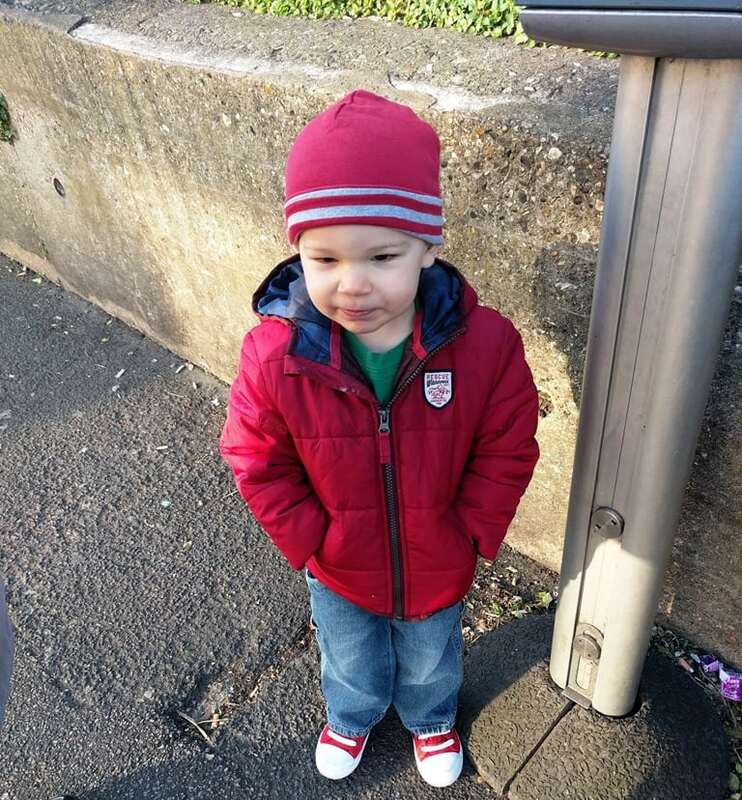 At the bus stop, Matt taught him how to put his hands in his coat pockets and somehow, this magically made him seem three years older? I was excited to see the embassy, simply because I’d never seen one before, but it was kind of a letdown. It looked mostly like a DMV, even from the outside – it was hard to even find a decent spot to take a photo commemorating the event. (Apparently this will be remedied soon.) There was a very long queue outside for visa services and then a very short queue for American citizens, lucky for us. Pass through security similar to airport (we didn’t have to worry about liquids but they swabbed the stroller), then we headed inside. The whole thing took about an hour and a half. Matt waited in line and Dexter ran around in the surprisingly robust play area while I squatted on a child’s bench and nursed Theo. It was warm but not an entirely unpleasant place to wait. Matt returned with papers and an assigned number for us. When we were called up, the nice woman at the window asked us a few questions and put us under oath to swear it’s all true. We signed a few things and then our embassy employee informed us that she’s pushing a button which means Theo is officially the newest U.S. citizen in the world… for about 8 seconds, until the next citizen makes it official. Theo is shy because he is OVER IT, and I look grim because Matt is trying to rush photo while Dexter runs around, but I swear this was a happy moment. His passport arrived by mail a couple of weeks later. Becoming a U.S. citizen is exhausting.